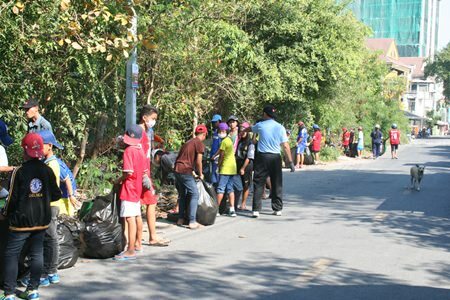 Green Pattaya and Pattaya City Hall on April 4 teamed up with 40 children from Child Protection and Development Center to pick up litter off the streets at Pratamnak Soi Kasetsin 5. 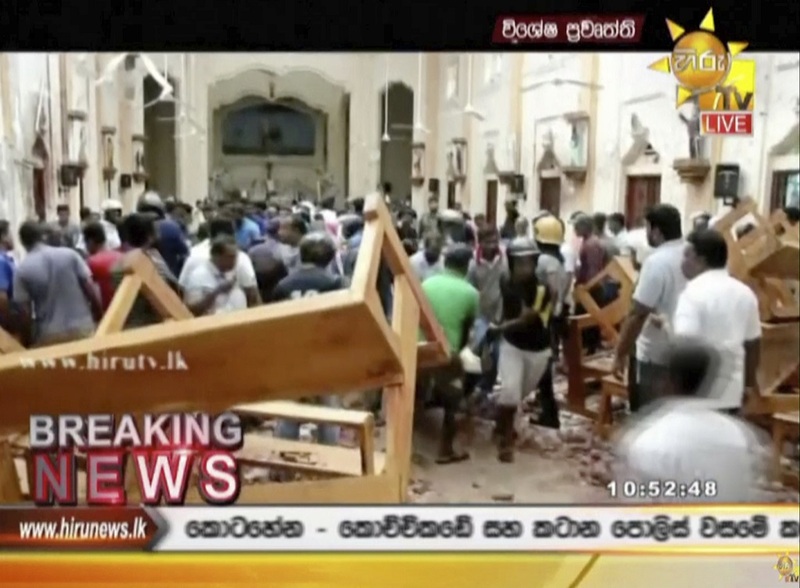 A total of 5 trucks from City Hall were needed to take away all the rubbish. A return to Soi 5 is needed to finish the job. The rubbish mostly comes from buses that use the soi as parking and clean their buses at the location. 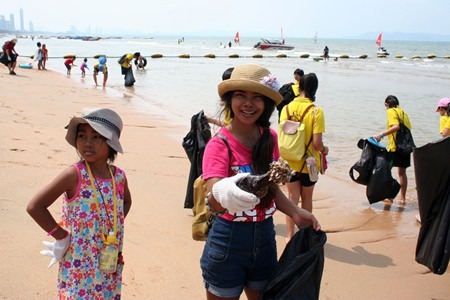 Three days later, on the 7th of April, Green Pattaya and students form the Thai Chinese International School teamed up to gather 60 bags of small plastic off Jomtien Beach. 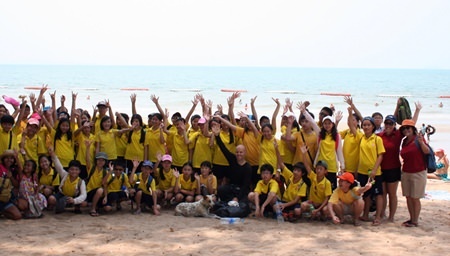 The day was a success on two fronts – first, it was a good cleaning day, and second, the students seemed to thoroughly enjoy a day out by the sea. 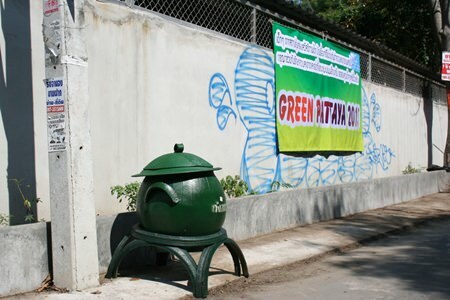 Green Pattaya is always looking for local schools and companies that want to help clean our city. Please contact Green Pattaya for more info. 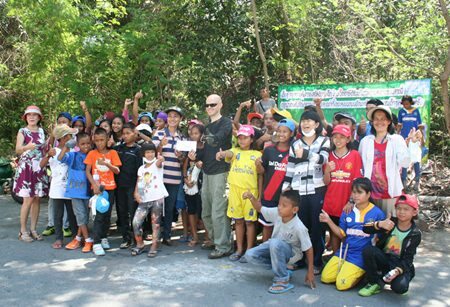 Green Pattaya and 40 children from Child Protection and Development Center pick up litter off the streets at Pratamnak Soi Kasetsin 5. 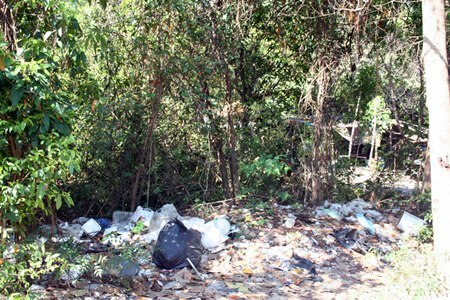 The rubbish at Soi Kasetsin 5 mostly comes from buses that use the soi for parking and to clean their buses. 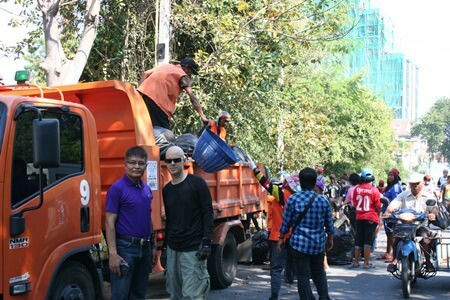 A total of 5 trucks from Pattaya City Hall were needed to take away all the rubbish from the Pratamnak site. Hopefully people will get the message and start using rubbish bins. Despite the heat, the children were certainly enjoying the day out on Pratamnak Hill. The team from Green Pattaya and the CPDC gather for a memorable group photo. 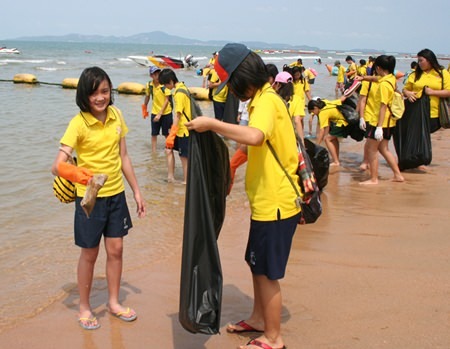 Students from the Thai Chinese International School managed to gather 60 bags of small plastic off Jomtien Beach. Large barnacles or small muscles managed to grow out of this discarded bottle on Jomtien Beach. It’s time for a group photo to commemorate the event.